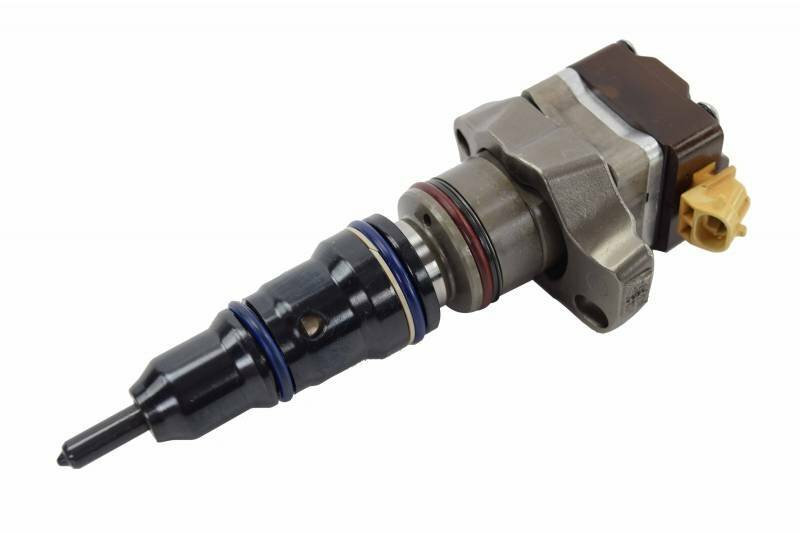 A fuel injector is one of the more complicated components in your engine. It is responsible for pressurizing the fuel and injecting it as a fine mist into the combustion chamber. It must be able to withstand intense operating conditions, and should be timed perfectly to achieve ideal fuel usage. You can read more about adjusting your injector's timing in an earlier post we wrote. These could be caused by a number of problems, from worn injectors to cracks, so it's important to carefully diagnose your problem. If you're experiencing a fuel injector problem, there are a number of things to think about to repair the issue, including whether you want to purchase a repair kit for your existing injectors or replace them entirely with remanufactured injectors. One option you have as you're looking to solve injector related issues is to get an injector repair kit and rebuild the injector yourself. Depending on the type of damage you're trying to repair, there are different types of kits you can purchase, including ones that will replace just the seals if you're having leaking issues, to kits that include most of the major components that make up a fuel injector. You'll have to evaluate your injectors and decide which kit will best help you with your particular problem. An injector repair kit can help with a lot of minor problems you may be experiencing, like general wear and leaking seals. That, combined with a good cleaning to clear away any clogs, can keep your injectors running for miles to come. It is a little labor intensive on your end, but it is less expensive than buying all new injectors, if that's not currently necessary, and can solve many of your problems. It doesn't, however, address major injector failures, nor do you get the same testing and guarantees you'd get from purchasing new or remanufactured injectors. There are some issues a repair kit just won't fix—cracks in the injector, for instance. In cases like these, you might want to consider purchasing remanned. The remanufacturing process is quite intensive, and can vary from company to company (HHP's remanned injectors are made to run like new, meeting or exceeding OEM specifications!). You want to make sure the remanned injectors you're getting are quality. When an injector core is remanufactured, it is taken apart, cleaned thoroughly, and inspected for damage. A quality remanned part will have all old components replaced with new ones to ensure maximum life span. Depending on the individual injectors, the replaced components can include actuator assemblies, spill valves, solenoid, NOP springs, washer, shim, screw, and stop. The injector will also be tested thoroughly for leaks and functionality. In the case of the remanned injectors we sell, the testing ensures that each injector meets OEM standards, and will run like the day it was first manufactured. Buying remanufactured injectors might cost you more upfront than a repair kit would, but you get the added peace of mind that your injectors should run like new and any major injector issues you have should be taken care of. So, depending on the extent of the damage, either purchasing a repair kit or remanufactured injectors would be options for you. A repair kit is not the same thing as remanufacturing an injector, as it's much less comprehensive. It will, however, help you with minor issues. In the end, it's up to you and your mechanic to decide which fix would be best for your engine. If you're looking for either an injector repair kit or new/remanned injectors, HHP carries both. We can help you find what you're looking for! Request a quote online or call 844-215-3406 to speak with a certified technician. Let us help you get the right parts the first time!